Exceptional Home Improvements you can rely on and trust, from Orangeries to Loft Conversions & New Builds. At Greve & Son we are dedicated towards providing high quality building work and have been constantly building our reputation throughout Sussex for many years. We specialise in all types of Extensions and Conversions. We are used to working alongside building control and meeting necessary building regulations. Please have a look at all we have to offer and feel free to call us at any time. At Greve and Son we provide all our customers with a full range of quality services. Our services include all forms of building and structural repairs as well as remedial work to meet building regulations. We specialise in new builds, extensions and conservatories. This includes General home improvements, plastering and landscaping. all year round with our conservatories. A well planned and implemented conservatory can also add value to any home, creating a useful extra room, or even forming a major extension to your home, the important thing is to make sure it is well built and that’s why we have our very own experienced construction team who are committed to completing each customers installation with every care and attention. Not only do we build and install your new conservatory we also specialise in landscaping your garden to fit in with your new conservatory if needed. Conservatories can come in all different shapes and sizes and we can tailor them to suit your property. Greve and Son Ltd is the trusted and official supplier for PLATINUMNRG for Battle, Bexhill, Brighton, Eastbourne and Hastings. Advanced thermal properties mean all standard windows can achieve an 'A' Rating by the BFRC WER Rating system, and the new A+ certificate through the use of the highest energy efficient glass and additional PVCu frame elements. These ratings are achieved without the use of expensive thermal inserts. Greve's landscaping services offer a comprehensive garden design, build and maintenance service. We specialise in soft and hard landscaping and all aspects of garden maintenance. We have a personal approach and a considerate, tidy and professional working manner gained through our extensive experience of creating many gardens and outdoor spaces for domestic and commercial clients. At Greve & Son, every kitchen is created for those who love the best things in life. Whether your taste is classic, modern or purist, we are sure to have a style to suit everyone and every budget. We understand you appreciate quality, that's why our kitchens are professionally designed and our award-winning furniture is made in Britain using sustainable sources. Our in-house master craftsmen and approved installers will ensure you'll have a kitchen you'll love to spend time in. 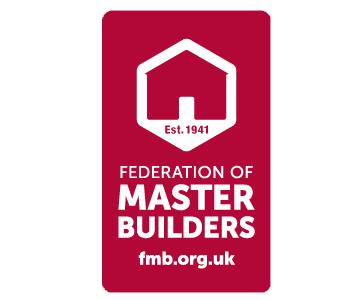 Greve and Son are proud to be members of the Federation of Master Builders. Greve and Son are FENSA Registered company. We work in accordance to the government approved scheme of work set out by FENSA to ensure that our products and services comply with the new Building Regulations for England and Wales. Send us a message, call or email and well be happy to advise you on your next project... big or small. © Greve & Son limited. All Rights Reserved. All content is property of Greve & Son Limited.